Last week I was shopping at a local sports store. I was looking at some tennis rackets that are on display. Then there was this mother who came to approach me and ask me if I play tennis. She wanted to buy a tennis racket for her child and asked me if I could help her to choose a racket that is suitable for her child. Well I guess many parents are facing this problem when their child are learning tennis. This is why I am inspired to write this article to help parents who are facing this problem. There is such a range of physical sizes when we talk about children and tennis rackets. The racket you would buy a 3 year old is very different to the racket you would buy an 11 year old. Whenever I coach kids to play tennis, and I always recommend you purchase a racquet based on physical size, not age. Is the child just starting to play tennis, or has he or she been playing for a couple of years already? If they are relatively advanced tennis players they may need a light weight adult racket. When you need a tennis racquet for a child, the first thing to do is have that child hold the racket to make sure it is neither too long or short for the little person. When the child’s arm is straight, the tip of the racket should dangle just above the ground or barely touch it. Little hands are constantly growing, so grip size will be a constantly changing factor. There is only one grip size when it comes to junior tennis rackets. 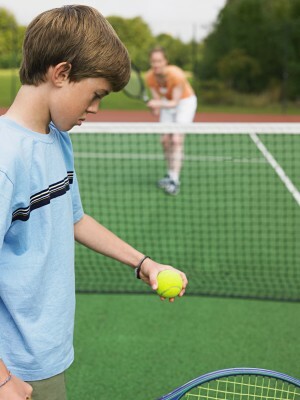 A child of 9+ years old, or even a large-sized younger child, may find the grip too small and need an adult racket. If the grip is correct for the child, you should be able to slide a finger up the middle of his finger tips. Racquet sizes range from 21 inches for a 3 or 4 years old to 26 inches for a 10 year old. Once a child hits about 5 feet tall they should move on to the 27 inch adult racket. Make sure the racket isn’t too heavy, or else your child won’t want to hold it or swing it around for long. A light weight racket is best. Strings are the most important part of a racquet for any age, since that’s what is supposed to hit the ball. Even though polyesters are all the rage now, for children synthetic gut tennis string is often recommended. Then as the child gets older and his strength increases, he can graduate into polyester strings. Plenty of people debate about if it is good to introduce your child to an inferior quality racket, which junior rackets can be. Getting a light weight adult racket and having a certified racket technician cut it down to size and ease the tension might be a more sophisticated solution. The main thing about a child and a tennis racket is that the prime factor is having fun. 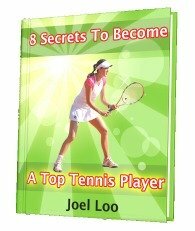 If you want your child to grow to love tennis, it is most important that he or she not feel burdened or weighed down by the racket. It’s got to be easy enough to swing that the child is not intimidated by it and does not become tired from the weight of it. 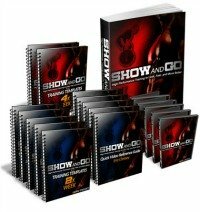 I hope the information are useful for you to choose the best tennis racket for your child. 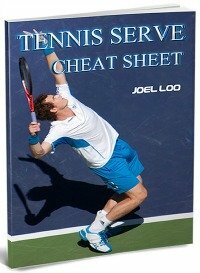 From "How To Choose The Correct Tennis Racket For Your Child" To "How To Play Tennis Efficiently And Become A Better Player"